PORTAGE PARK — A fire that broke out on the second floor of Foreman High School after noon Monday, forcing officials to cancel classes for the rest of the day, is being investigated as arson, officials said. No one was injured in the fire, which was put out "immediately," Foreman officials said via Twitter. 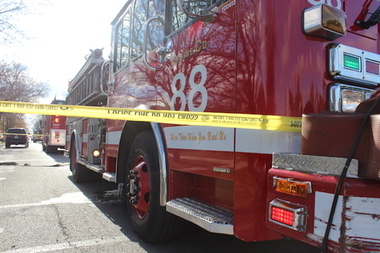 The fire — which caused a great deal of smoke — was contained to a trash can at the school, 3235 N. Leclaire Ave., according to a statement from the Chicago Police Department. The fire forced all afternoon classes to be canceled along with afterschool activities and night school on Monday, Foreman officials said. School was expected to reopen Tuesday morning, a spokesman for the Chicago Public Schools said.